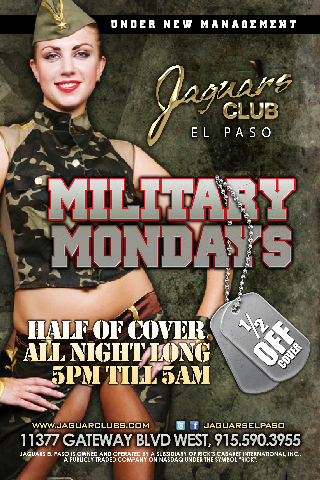 Start the week off right for all military personnel join us from 5pm till 5am. Must have military id present for discount. Half of cabanas all night.